The Poker Room at Thunder Valley Casino Resort | Lincoln, CA: Who is Still Here? Level 10 is in the books and the field is down to 210 in Day 1E of the > $400k WSOP Circuit Event 1. 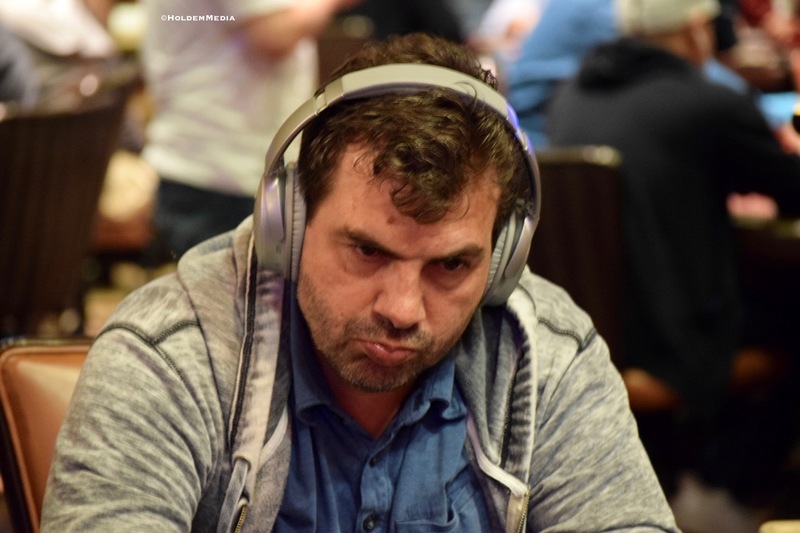 Among those still #BagHunting is a pair of WPT Champions Club members - Cornell Cimpan (above) and Pat Lyons - along withTuan Mai, Albert Ng, Vikram Bhatia, Chris Hinchcliffe, Bill Watchman, Eric Matulis, Ian Steinman, Ken Jorgensen, Art Tanimoto, Randy Gil, Perry Paraskevas, Erik Eichmann, Glenn Larsen, Toan Nguyen, Dermot Lyons, Mo Safapour, Georgene Farmer, George Cabrey, Rian Mullins, Josh Morrow, Wood Bailey and George Saca.